What are the Features, Benefits & Risks of a Hospital Grade Breast Pump? >> What are the Features, Benefits, and Risks of a Hospital Grade Breast Pump? For most moms out there who are in search of a breast pump, the choice can be a little bit overwhelming. There are so many options in stores and choosing the perfect one requires careful research. Perhaps you have heard of a hospital grade breast pump and wonder if it’s a great choice. Is it, really? Here, we shed some light on what a hospital grade breast pump is, the features it offers, and any risk it may come with. After reading this post, you will be more informed in making the best purchasing decision for your needs. So what is good about using a hospital grade breast pump? Where to Find a Hospital Grade Pump? Are There Risks in Using a Hospital Grade Pump? When it comes to breast pumps, there is the single-user electric and the single-user manual. But did you know that there is another type that is called a hospital grade breast pump? Basically, several users can use this device, as long as they have their personal accessory kit. Moreover, breast pumps coined as hospital grade come with a stronger motor. This is why you can benefit from this type of pump when establishing a better milk supply. As the name implies, a hospital grade breast pump is commonly found in hospitals. You can also rent it whenever you need it. This is certainly ideal for moms who do not wish to buy one at the moment, yet they have a low milk supply. 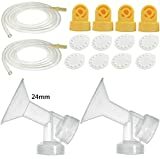 The leading models of this type of breast pump include the Elite and Platinum by Ameda, as well as the Lactina and Symphony Medela. 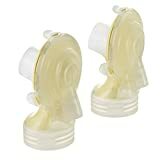 Both of these are Hygeia breast pump models. 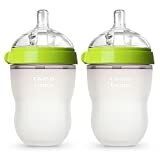 Although these are both considered as breast pumps, a hospital grade and a personal breast pump model differ in some ways. For instance, hospital grade pumps are much bigger than personal ones. They also operate silently even with such a stronger, more robust motor. Most importantly, you may opt to just rent a hospital grade pump instead of buy it. Why? Because it is more expensive than a personal one. In fact, you may end up having to shell out more than $1,000 to buy this kind of pump. This is why most nursing moms choose to rent it than buy. Mainly, moms use it when there is an immediate need to establish a good flow of milk for their baby. It is typically preferred to be used when breastfeeding a premature baby. Sick or weak moms who need to supply milk to their young ones also rely on this kind of pump. With a stronger piston-driven pump motor, this device can be used by multiple nursing moms. It is an efficient tool for providing the needed milk for your little one. Another reason why a hospital grade pump is a good choice for some moms is they need to provide milk to twins. With a larger quantity of milk needed for these babies, a powerful pump such as this is ideal. It is also a suitable choice when you need to feed your newborn who is in the NICU or a preemie. The amount of milk you can provide for your little one can help with her growth. Some moms struggle with establishing an abundant milk supply. In this case, they are better off with a hospital grade pump than a personal pump. Renting one is the most practical thing to do, particularly when you need to bring in a milk supply without breaking the bank. Perhaps you are not quite certain if you would prefer to pump, or you have not decided on the kind of pump to buy. Maybe you are sure about wanting to pump for just a month then not use this device afterward. In these instances, it is a smarter move to simply rent a breast pump than buy one. For all of these reasons, a hospital grade pump that you can rent at a reasonable price will serve you well. You should be able to rent this kind of pump at a hospital without any problem. It is also possible to check with your midwife, in case you are not giving birth at a hospital. There should be no issue renting one even if you prefer home childbirth. 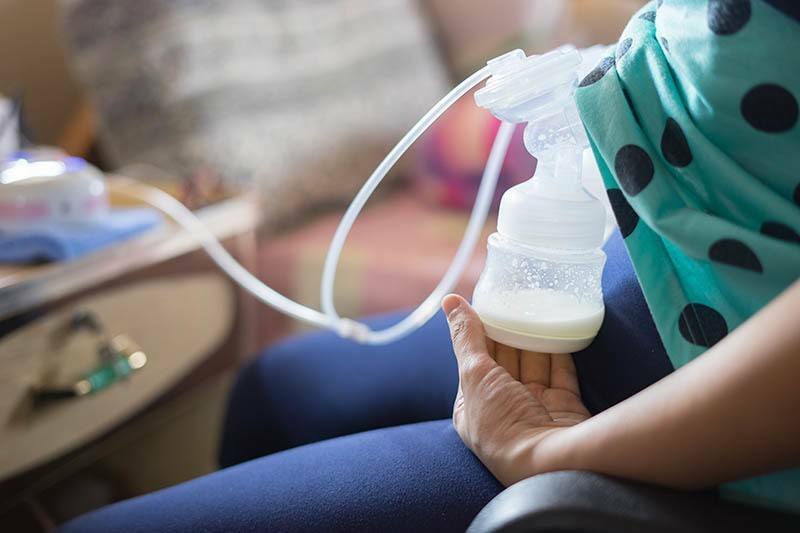 It is important to note that you check first with your insurance if they will cover the cost of renting a breast pump. They may also have their recommendations on where to rent one based on your budget. If you wish to do your own research, a simple Google search should lead you to various results on where to rent a pump. Several companies that offer hospital grade pumps for rent can be found online. This is an important question for most people who are thinking about using this type of pump. So is there a risk that comes with this device? Hospital grade pumps are not FDA-regulated. Also, the FDA does not recognize this there since there is no consistent definition for it. Individual companies that rent out this device could mean various things with the breast pumps they label as a hospital grade. But the most essential thing for you to do is to be certain if the pump is indeed for single or multiple users. Unless you are certain, then it is not advisable to get it. You need to be very particular about hygiene, first and foremost. Otherwise, you may put your child at risk, and you also run the risk of acquiring an illness from using an unsafe pump. Overall, a hospital grade breast pump is a device intended for multiple users. It is recommended for moms who wish to pump for a short period and do not plan on buying their own pump. But before you rent one, be sure to contact your insurance company for coverage concerns. Lastly, check the safety and hygiene of the device to ensure your health and your baby’s welfare. Read more: How to breastfeed a newborn?